Maeve, Eliana Ruffled Blouse, buy here. Mara Hoffman, Watercolor Waves Wide-Leg, buy here. Kingston Jewellery, Mackay Painted Earrings, similar here. Gianvito Rossi, Plexi & Denim Pumps, buy here. 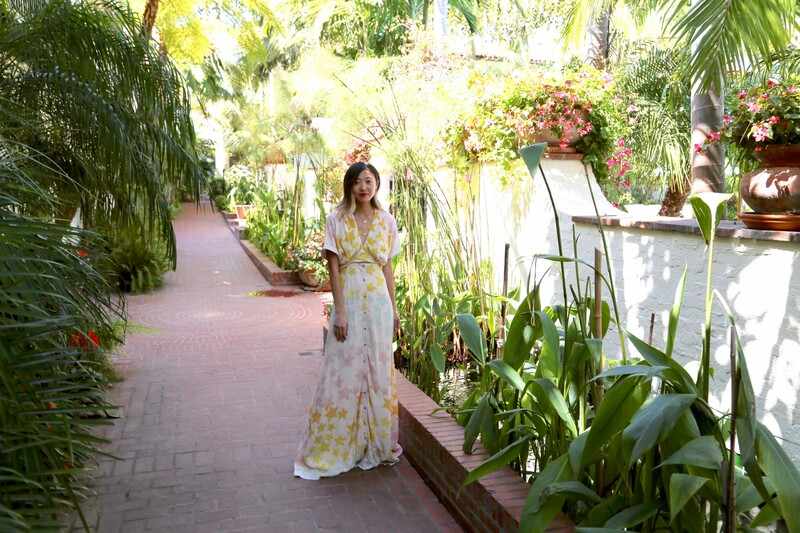 Photographed By: Jeffrey Men Mara Hoffman, Tie Front Maxi, buy here. Fortune & Frame, Fortune Cookie Locket, buy here. Cartier, LOVE Bracelet in Gold, buy here. The Red Dress Boutique, Santorini Soul Cognac Thong Sandal, buy here.